With a simple mutation, yeast can grow in higher than normal temperatures. Researchers at Chalmers University of Technology demonstrate this in an article to be published in the scientific journal Science. 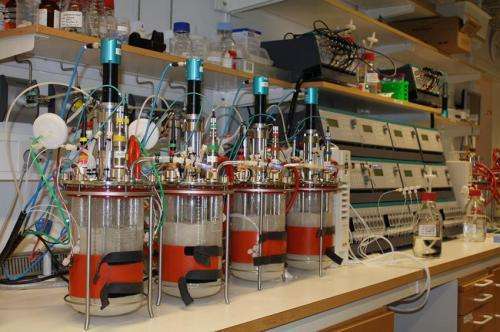 The findings may result in ethanol being more effectively manufactured for vehicle fuel, as well as increase the possibility of using residual waste as a raw material. If industrial yeast cultivation is not cooled, the yeast cells die from the heat they themselves produce. Yeast cultivation is currently cooled to 30 degrees, the temperature at which the yeast cells can best do their job – producing ethanol. However, the production of bioethanol could be both less expensive and more effective if the temperature could be maintained at 40 degrees. A great deal of money could be saved on the cooling costs, and the risk of bacterial growth would decrease. In addition, the raw material, for example starch, must be broken down into sugars that the yeast can use, a process that functions best at high temperatures. 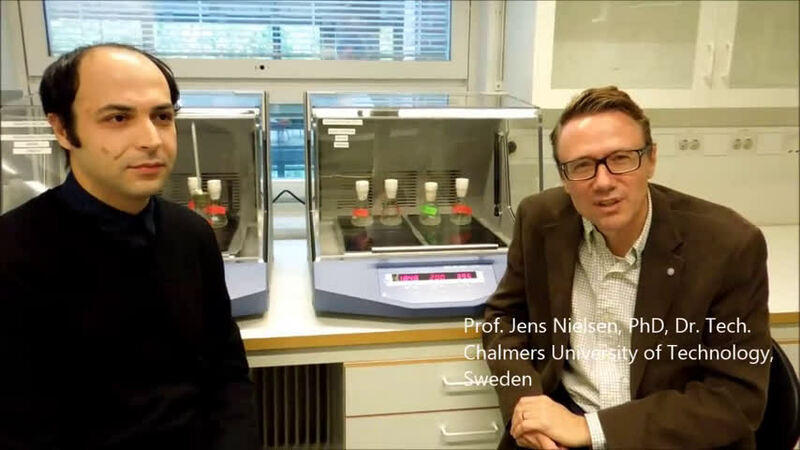 Researchers at Chalmers University of Technology have now resolved the issue of what makes yeast thermotolerant. "As it turns out, a simple mutation is sufficient," says Jens Nielsen, professor of systems biology and head of the research team. "Yeast has a molecule in its cell membrane called ergosterol, instead of cholesterol which humans have. The mutation exchanges ergosterol for a more bent molecule called fecosterol. This has several different effects on the cells, which enables the yeast to grow at 40 degrees. " The yeast has not been gene modified by the researchers; rather, they have used adaptive laboratory evolution to produce it. The method allows new characteristics to be produced without knowing which mutations are required to achieve them. Three yeast cultivations were subjected to a temperature of about 40 degrees. After just over three months, when over 300 generations had passed, the yeast suddenly started to grow effectively in all three cultivations. The researchers analysed the genetic structure and metabolism in three yeast strains from each cultivation. They concluded that while several different mutations had occurred in the strains, all the strains had the mutation that produced fecosterol. "Since that mutation took place in three independent cultivations, it appears to be the most important factor in terms of the yeast becoming thermotolerant," says Jens Nielsen. "This shows how rapidly evolution can change an organism. 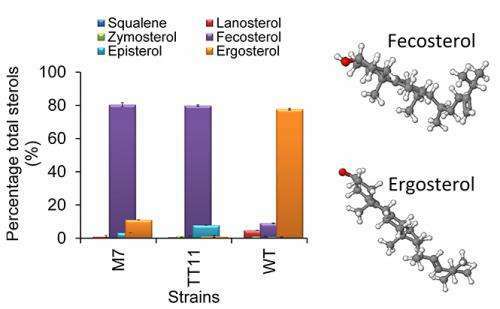 It is interesting that the structure in fecosterol is the same as in sterol-like molecules, which protect some bacteria and plants against high temperatures. " One important characteristic of the yeast strains is that they are stable – they pass on their thermotolerancy to future generations. This characteristic, and the fact that the researchers now know exactly what makes yeast thermotolerant, may have a major impact on bioethanol production all over the world. This includes current bioethanol production which is based on sugar beets or corn. Ethanol valued at more than USD 100 billion a year is currently produced using yeast. If even a minor improvement can be introduced into the process, billions of dollars can be saved every year. The results also pertain to future production, which would be the best possible scenario from a climate perspective: production in which the raw product is residual waste from farming and forestry. "I believe that our results have very great potential for this type of development," says Jens Nielsen. "In order to use residual waste of this kind, the substance lignocellulose must be broken down, which is difficult. The enzymes needed for decomposition work best at high temperatures. " "From a long-term perspective, our results may also increase the possibility of using yeast to produce more advanced biofuel that more closely resembles oil-based fuel."